We recently spoke about the fact that the midsize and compact sedan segments are constantly jockeying for pole position on the market. It’s never really clear which classification is more popular than the other, with each having its day in the sun. 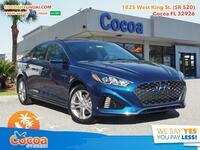 Last time we spoke about this we dove into a comparison between our compact sedan and one of its biggest competitors, today we’ll do the same for our midsize entry by pitting the 2019 Hyundai Sonata vs 2019 Toyota Camry. 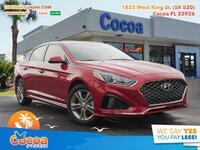 While the Corolla outpaces the Camry in terms of longevity on the brand by a decade and a half, the Hyundai Sonata is the longest-running vehicle on its lineup today. In fact, the Sonata has nearly been on the market as long as the Camry, having been introduced just three short years afterward. 16.3 cu. ft. Cargo Capacity 14.1 cu. ft. Taking one look at the table above, it’s clear to see why the Toyota Camry has always been one of the best-selling sedans on the market. 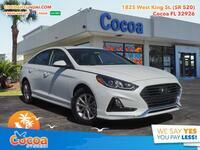 However, many publications are beginning to rank the Sonata above its Toyota counterpart. Despite the fact that the first row shows the Camry has a decent advantage of 18 horsepower and gets an extra 4 miles to the gallon on average, the Sonata has enough great content and other redeeming qualities that it’s beginning to rank higher than the Camry. For starters, it has a larger trunk, delivering an extra 2.2 cubic feet of space to fill with whatever cargo you need to bring along. 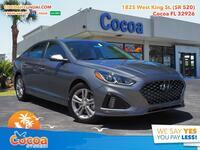 While both sedans offer seating for 5, the Sonata offers a host of great technologies and features that many shoppers are beginning to adore. 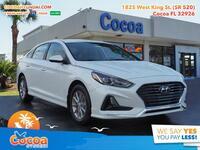 If you’d like to find out more about the content in the Sonata or take one for a spin yourself, be sure to get in touch with us right here at Cocoa Hyundai.